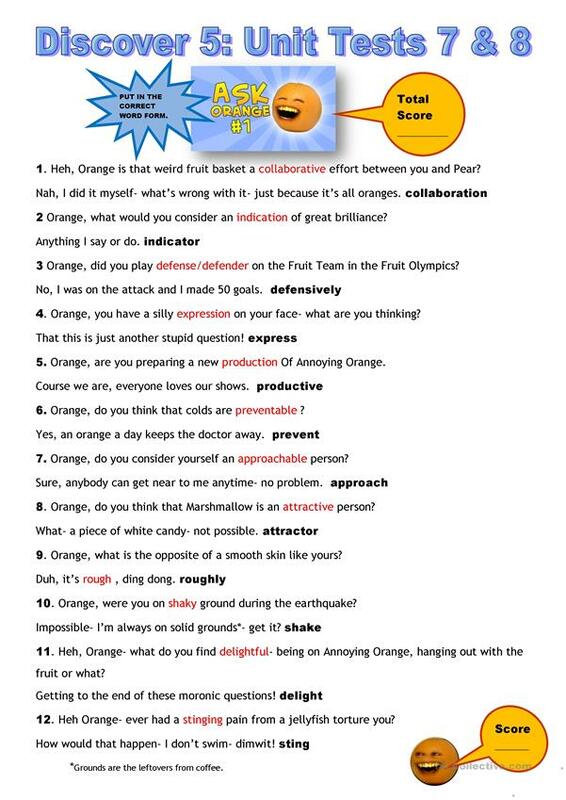 These are the answers to the Oxford Discover 5 Vocabulary Test for Units 7 and 8. 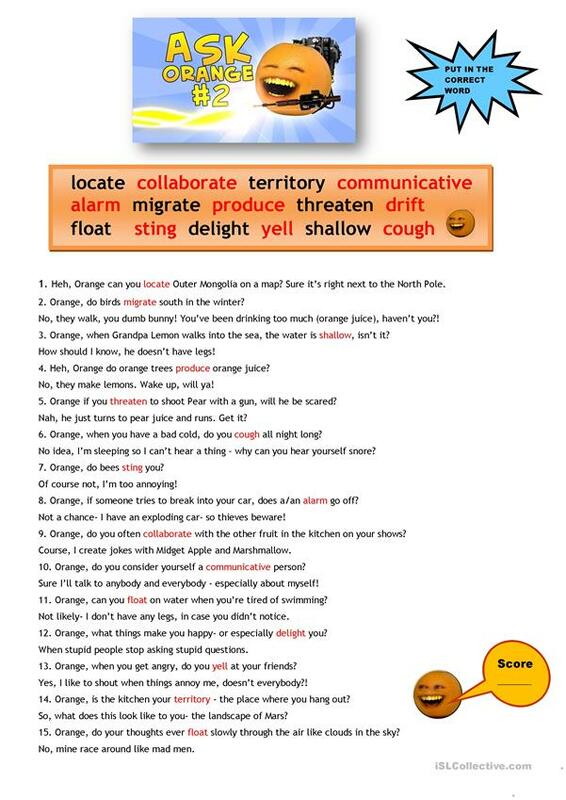 There are three pages of exercises with answers and a page listing the vocabulary by unit. The present downloadable worksheet is meant for high school students, elementary school students and students with special educational needs, learning difficulties, e.g. dyslexia at Pre-intermediate (A2) level. 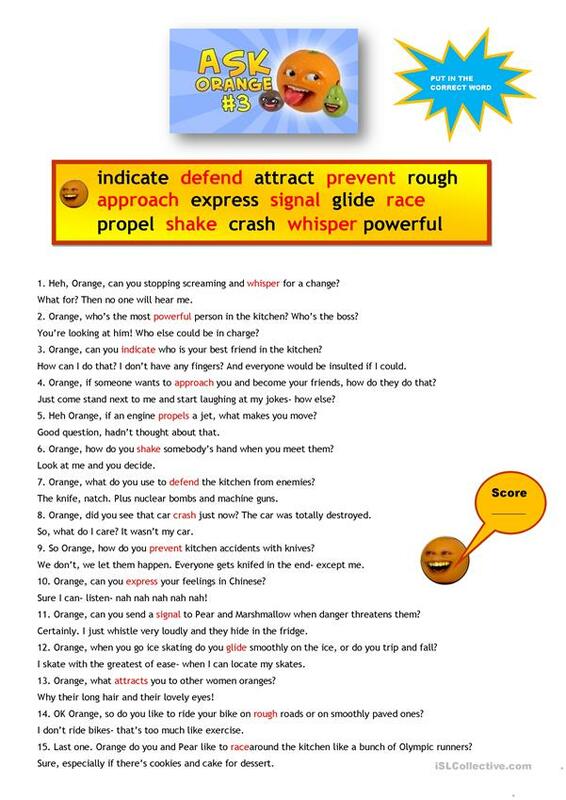 It is a useful material for revising Present simple tense in English, and can be used for developing your students' Reading skills. It is about the theme of Humor. The answer key is provided, too. kifissia is from/lives in United States and has been a member of iSLCollective since 2011-10-12 07:37:58. kifissia last logged in on 2019-04-19 13:44:37, and has shared 385 resources on iSLCollective so far.